Eid Milad: What Muslims All Over the World do for this Blessed Event? 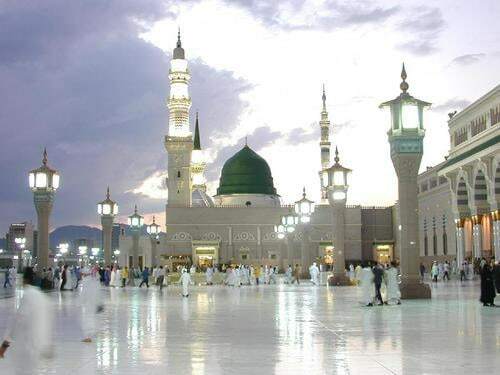 Large numbers of Muslims commemorate the birth anniversary of the Holy Last Messenger, Muhammad (peace be upon him), which falls on 12 Rabi-ul-Awwal of the Islamic lunar calendar. This date is important to Muslims because the birth of the Holy Last Messenger Muhammad (peace be upon him) is regarded as a great blessing for the whole of humanity. This is, in part, because the Holy Last Messenger (peace be upon him) is the chief of all the messengers sent on earth and it is to him that the Holy Qur’an was revealed; although the characteristics and qualities and accomplishments would take volumes to enumerate, and even still one would never know the extent of the greatness of the Beloved of Allah. The event itself, termed Eid Milad al-Nabi, is marked by public gatherings of Muslims. At these meetings poems and speeches are recited by high and low on the life of the Holy Last Messenger (peace be upon him) and the thousands of reasons he is honored, praised and loved by God and man. Accounts are related about the different aspects of the blessed life, birth, childhood, youth and adulthood; and children are educated about his teachings, sufferings, and how he forgave even his most bitter enemies. Upon this day, the world is informed about true bravery, wisdom, eloquent preaching and final triumph of good over evil. The Holy Last Messenger, Muhammad (peace be upon him), is the personification of greatness and exquisiteness… His nativity or becoming visible to all has ceased but his august presence has not ended. Muslims celebrate this festival out of pure joy. Millions of salaams be upon him. Notice: The International Qur’anic Open University is proud to announce that the United Muslim Christian Forum’s Annual Eid Milaad parade will be held again this year in Binghamton, NY on March 14, 2010.